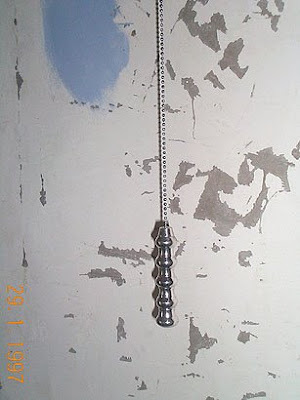 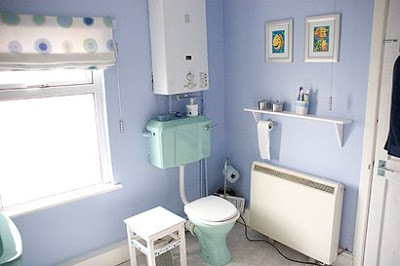 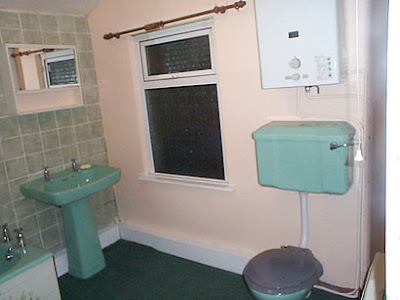 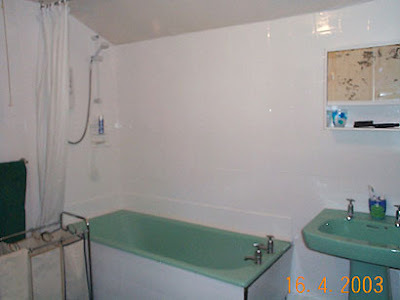 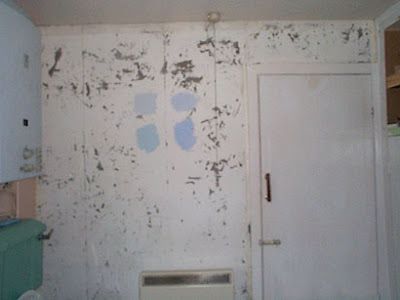 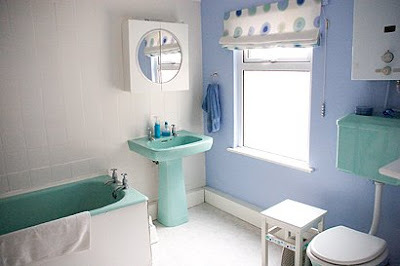 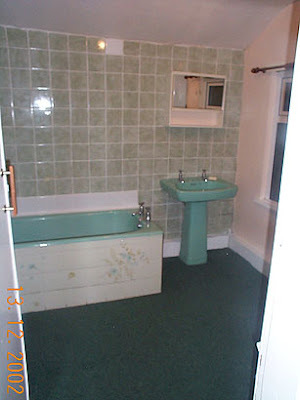 Take a look at how the bathroom looked when we viewed the house and right after we moved in. 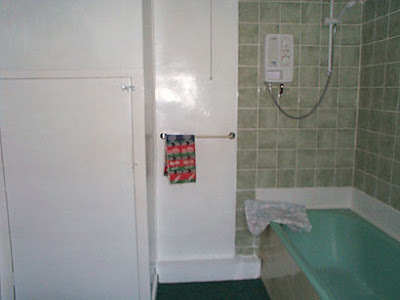 We loved the size of the room (a fairly big bathroom by British standards) but that's about all we loved. 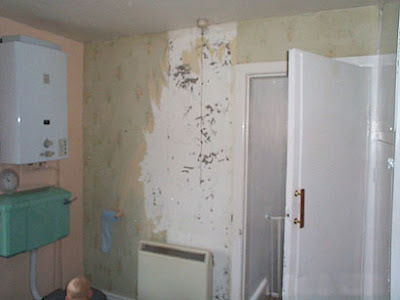 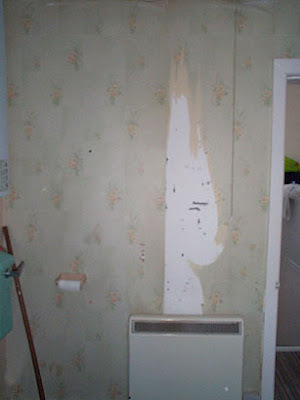 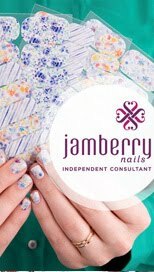 I immediately started stripping the wallpaper bit by bit when Daniel was in the bath each evening. 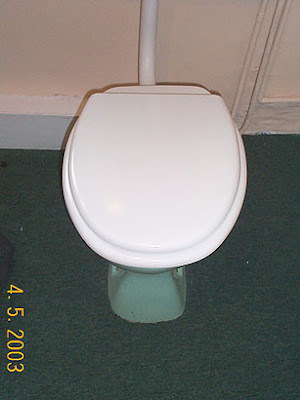 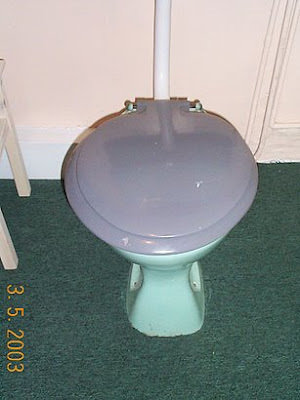 Changing the toilet seat made a big difference. 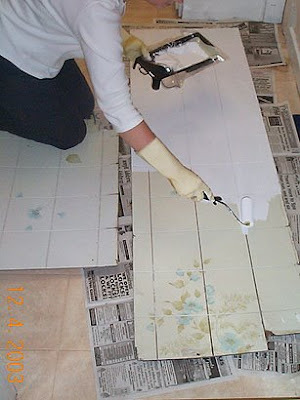 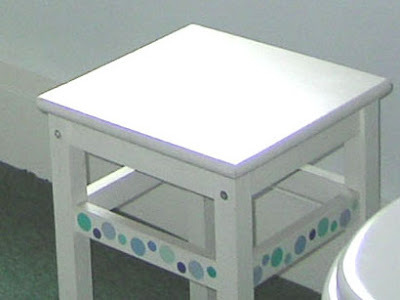 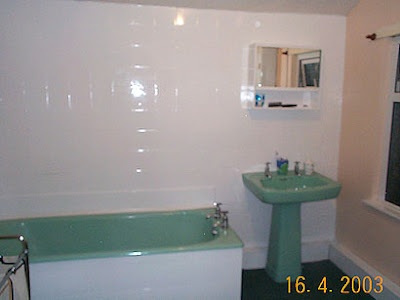 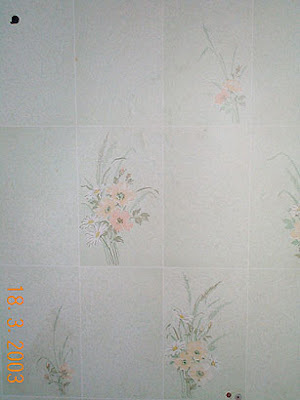 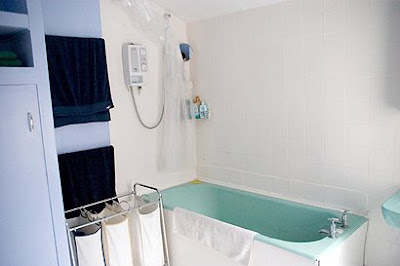 The biggest difference in the room came when we painted the tiles and bath panel with white tile paint. 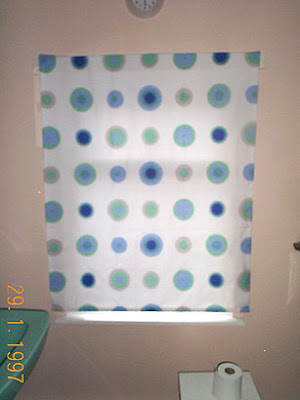 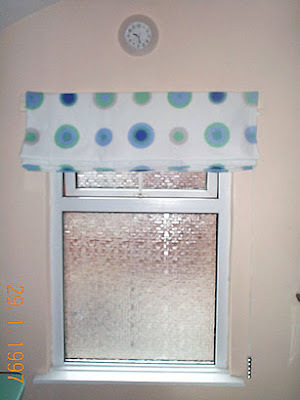 I made a Roman blind for the window; it was my first time making one! 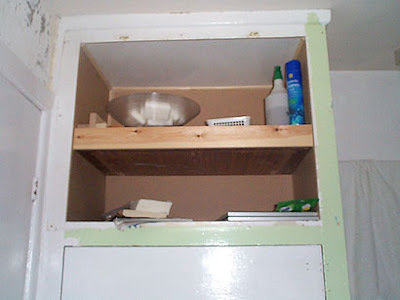 Even though I measured it well, it still somehow ended up a bit short - oops! 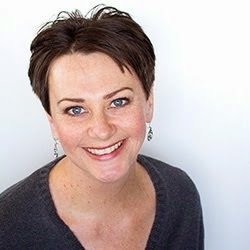 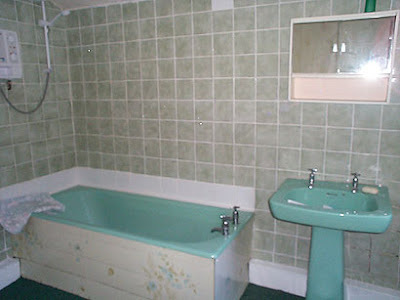 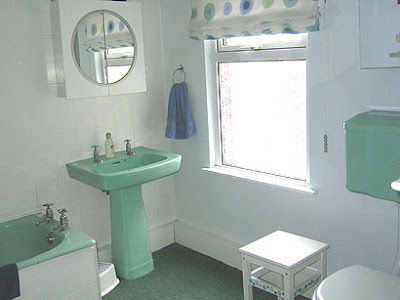 I chose a fabric that incorporated the exact green of the bathroom suite. 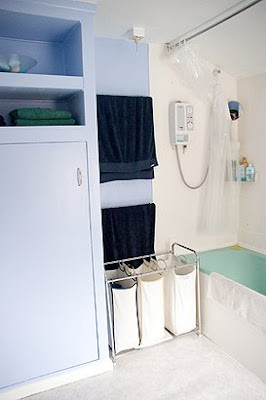 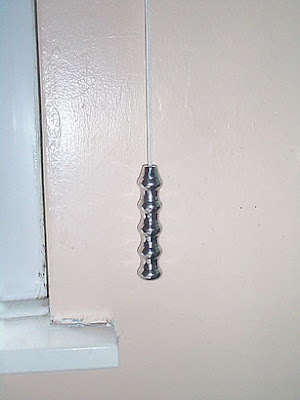 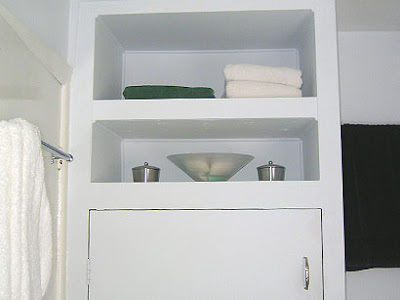 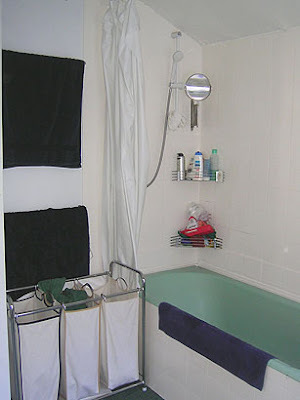 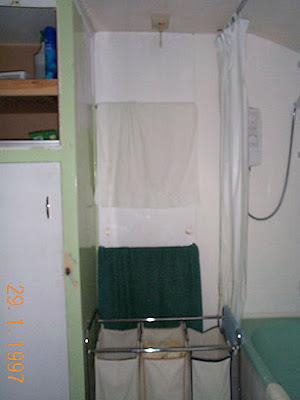 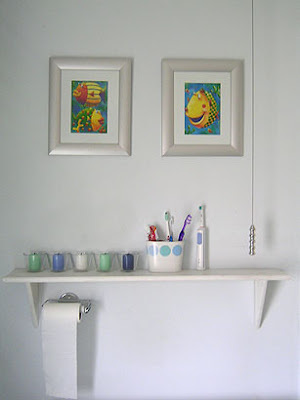 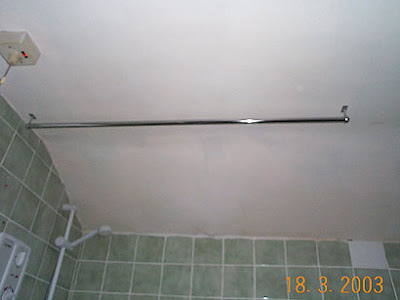 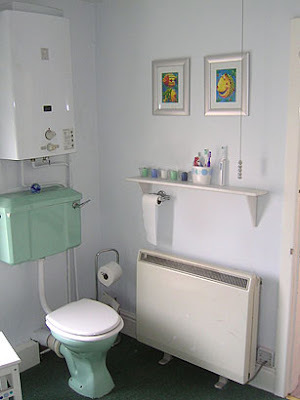 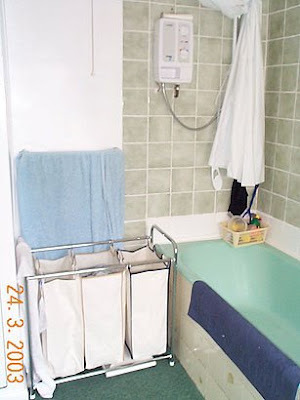 Grant added a second towel rail, as well as one behind the door - the newly opened shelf space provided a recess for the rail when the door was opened against the cupboard.